Tuckingmill, Camborne in Cornwall is today in the middle of the Camborne & Redruth conurbation, and is on the border of Illogan Parish and Camborne, divided by the Red River. Above it is the last Tin mine in Cornwall, South Crofty. Tuckingmill, was at the centre of the explosion of Methodism, in its early days when the Wesley Brothers visited the area. Indeed Charles Wesley in 1743, was driven out of Illogan Parish by the wardens, and prevented from preaching. He watched the Warden go back up the hill (who promptly had drinks etc. at a local hostelry, charging the parish 10 shillings), then stepped over the Red River stream and preached in Illogan Parish. Where he preached has now the magnificent 1843 Wesleyan Chapel on the site (now sadly flats but with a beautifully restored exterior.). The story of the Tuckingmill and Brea society is a story in its own, and is right at the early days of of John and Charles Wesley in Cornwall. Many of the local Societies, started as Classes, becoming Societies as they grew, and spreading out into the area of Camborne and Redruth. However as with the rest of Methodism, they also split into separate types i.e. Primitive, Wesleyan, Bible Christian, etc. Tuckingmill was no different. It would seem that by 1859, the Tuckingmill Primitive Society was in being, with a chapel opening in 1863 built for 200 people. In 1849 a Joel Blamey (a Bible Christian convert and once leader at the Blowinghouse / Grennifer Chapel…now lost) moved to Tuckingmill on the closure of Blowinghouse Chapel. The area was changing due to the mass exodus of miners in the 1850’s to 1870’s to all parts of the world, and numbers dropped at some small chapels built within or close to mine workings. Another leader was, a Charles May, who for fifty years was everything from Class Leader, Organist, Sunday-school superintendent, society steward and treasurer. He was devoted and also had to contend with a small membership, hence the many positions he held, some at the same time. 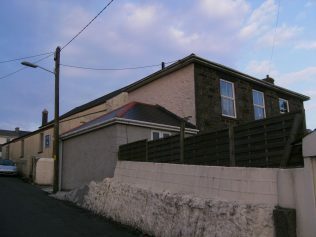 As said, the chapel was opened in 1863, and situated in what became known as Primitive Row, one of a cluster of terraced mining cottages, which with others adjacent, still exist. They sit immediately below the South Crofty mine, adjacent to the hill Charles Wesley was driven down out of Illogan Parish, now known as East Hill. 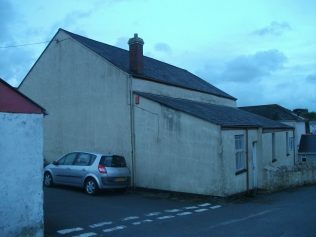 Adjacent is Primitive House, which was initially the meeting hall but later became a Mine Captains house. The chapel cost £211/10/0 to build. 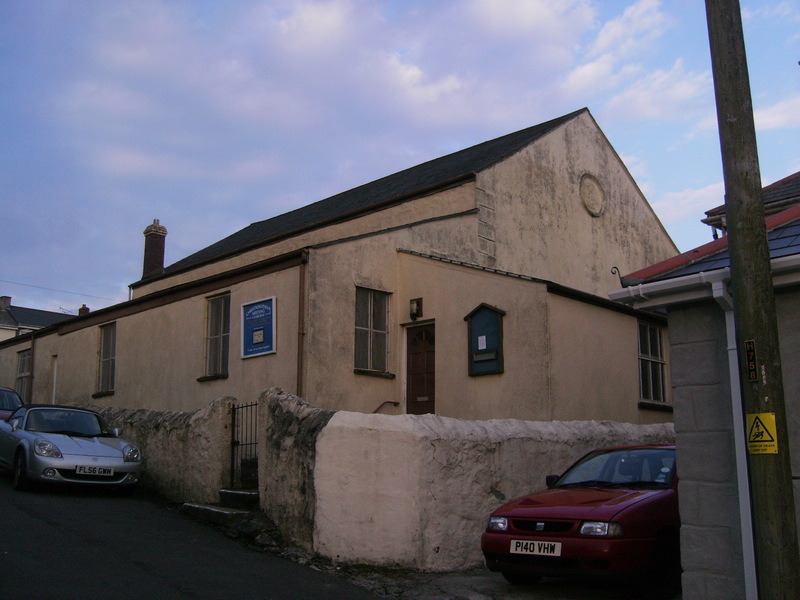 The chapel, in 1922, obtained from the works of Charles Mitchell Fleetwood , 15 Centenary Street, Camborne, a new organ for £275. Fleetwood, had worked for Sweetland’s Organs, setting up on his own in 1882. He died in 1893, so we suppose it was his sons who built the organ. Various histories, put closure to 1937 and 1941, but when closed the pulpit Bible was presented to Mr W.C. Perry, and the hymnbook to Mr R. Rowe. The Chapel later became the local Masonic Hall, and is now the local meeting hall for the Christadelphians. Over the years a track uphill from Chapel Road leading to Primitive Row, has become a road in its own right, and within the last ten years has been named Primitive Hill. At the bottom of Primitive Hill, on Chapel Road, are the remains of the famous Bickford Smith Fuse works, where the world’s first safety fuse was made. The Bickford’s and Smiths were supporters of the Methodists in the area. It is sad that there is no Methodist Society in Tuckingmill today, the birth place of Methodism in this vast and complex area. The whole story can be found in Thomas Shaw’s books, AHistory of Cornish Methodism, Methodism in Illogan, and Methodist guide to Cornwall; as well as J.C.C. Probert’s Primitive Methodism in Cornwall. Details of Organ builders and the entry for Fleetwood and Sweetland, can be found in A Provincial Organ Builder in Victorian England, William Sweetland by Gordon D.W. Curtis (found via Google books). My thanks to Cory and her other half for allowing me to photograph their house (Primitive House). My sources are contained in the text above. Another forgotten chapel found. Thank you for your article about the Primitive Methodist chapel in Tuckingmill. I remember seeing it as a child when I visited my grandparents in Tuckingmill. They were members at the Wesleyan Chapel that you mentioned. There is such a huge contrast between the Primitive and the Wesleyan chapels! One day, when I have more time, I will do some more reading about Methodism in the Camborne/Redruth area.